[S35] Probate Records, PROV (Public Records Office Victoria), VPRS 28/P39, unit 62. [S35] Probate Records, PROV (Public Records Office Victoria), VPRS 28/P31, unit 116. [S35] Probate Records, PROV (Public Records Office Victoria), VPRS 28/P30, unit 29.
possible 1911 census at 8 Oxford Street, Huddersfield with mother Ann aged 59, and two sisters Emily Ann 29, cigar maker and Elsie 19 Cotton Winder. Lilian is 24 and a Woolen Weaver. The mother had 6 children with 4 living. Death-Notice* 20 Jun 2015 SMITH. Ronald Stanley 'Digger'. Formerly of Naringal On June 17, 2015 at Warrnambool. Dearly loved husband of 'Jean' (dec.) Loved father and father-in-law of Glenda and Brian, Ray and Pauline, Alon and Glenda, Neil and Christine. Cherished 'Digger' of 8 grandchildren and 3 great grandchildren VX46676 2/4 Aust. Gen. Hosp. [S30] Nominal Roll, Australian War Memorial - WWII, http://www.ww2roll.gov.au/, Date of Birth 24 Aug 1919 - Place of Birth ELSTERNWICK. [S25] School Records - Beaconsfield North 2560: have birthdate as 23 Aug 1919. [S25] School Records - Beaconsfield North 2560: father Stanley Smith, North Beaconsfield, Orchardist. 2 miles from school. Previously at Warrnambool until 18 Dec 1925, left 30 Oct 1928 for Brunswick. [S13] Newspaper - Herald Sun "20 Jun 2015 - viewed online Dec 2018." [S80] Ancestry - Family Tree, jevanshill - gives marriage date. Enos Anthony Edwin Brown had left Upper Beaconsfield a few years before the war and moved to Western Australia. He married there and enlisted aged 27 on 15 Nov 1915. His unit, the 28th Battalion, 9th Reinforcement embarked from Fremantle on board HMAT A28 Militades on 12 Feb 1916. SERN 3790. [S22] Victorian Government. BDM Index Victoria (online) "Place of birth Blackburn." [S14] Newspaper - Weekly Times (Melbourne, Vic. : 1869 - 1954), Sat 5 Jul 1902, p8. [S12] Newspaper - South Bourke and Mornington Journal 2 Nov 1911, p2. VPRS 28/ P4 unit 1556, item 525/660. [S22] Victorian Government. BDM Index Victoria (online) "indexed as Effie Murial Brown." [S22] Victorian Government. BDM Index Victoria (online) "states Place of birth BEACONSFIELD UPPER." [S12] Newspaper - South Bourke and Mornington Journal 7 Nov 1900, p2. [S22] Victorian Government. BDM Index Victoria (online) "as Florence Alice Hillier BROWN." [S22] Victorian Government. BDM Index Victoria (online) "Place of birth Brecon Wales." 6 Oct 1885, TENDERS are invited for ERECTION of Villa Residence (wood), Beaconsfield, for Mrs P. Mackenzie. 6 Apr 1886, BEN EAY BEACONSFIELD SCHOOL RE-OPENS After Easter APRIL 22. 24 Sep 1909, NOTICE is hereby given that at after the expiration of 14 days from the publication hereof application will be made to the Supreme Court of the State of Victoria, in its Probate jurisdiction that PROBATE of the WILL dated the 23rd day of February, 1892 and one Codicil thereto dated February 1898 (a codicil referred to in the last mentioned codicil as bearing date the 9th day of June 1895 not having been found) of MARTHA MACKENZIE formerly of 'Ben Eay' Beaconsfield in the State of Victoria, and late of 'Roma' Neridah street, Chatswood near Sydney in the State of New South Wales, widow, deceased, may be granted to Hector Roderick Mackenzie of 'Kerrisdale' Moree in the State of New South Wales, grazier, and John Mackenzie of 'Calga,' Coonamble in the State of New South Wales, grazier, the executors appointed in the said will and in the codicil dated February 1898. ABOUT 1480 Alexander Mackenzie, of Kintail, married Margaret McCoull, a descendant of Macindulf, and Hector was a son - Hector the Redhaired, who founded the line, getting Gairloch from the Macleeds, his cousins. The family went through various vicissitudes, till a descendant, Alexander, abandoned Gairloch, and built Flowerdale, and in course of time a later descendant, Hector the Buck- toothed Laird, had a son, John, who won fame in the Peninsular War, and his son, Alastair, found his way to Port Phillip. He was appointed Colonial Treasurer by Governor Latrobe. A cousin, Farquhar Mackenzie, also reached Port Phillip, but by way of Sydney, where he joined for tunes with Hughes, Snodgrass, Hutton, White, Murchison, Dickson, and others, on one of the most notable of the early over landing expeditions. The party assembled at Goulburn (N.S.W.) in 1837, and, making their way slowly along Ebden's and Hawdon's tracks, they reached the old crossing place on the Goulburn, later to be named Mitchelstown. They penetrated no farther south into the Port Phillip district at the time. The Goulburn was attractive enough, so up its reaches they went. Mackenzie settled on the King Parrot Creek, where he was in conflict with Charles Hutton over boundaries, then at Flowerdale. Later he occupied Kerriesdale, as superintendent for Murchison. Hughes stayed at Avenel, while Snodgrass went up as far as Murrundindi, which included Doogalook and Killingworth. 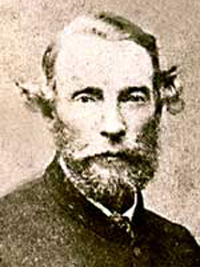 Farquhar Mackenzie, although a pioneer of note, was not successful as a grazier, and eventually occupied the office of inspector of sheep at Benalla, He married Martha, a daughter of John Murchison, and in 1874 he died, leaving his widow and 10 children. Two cousins, William and Roderick, also came to Port Phillip. After some years' experience as a merchant in India William arrived in 1839, and he opened warehouse in Lonsdale street, Melbourne. He had a run at Kinlochewe as well, and was president of the Port Phillip Pastoral and Agricultural Society. William, who never married, died at St. Omer, France, in 1860. Roderick joined the 98th Regiment as ensign. For some time in the early 'thirties he was unattached on half-pay. Later he joined the 96th as captain, and sold out in '40 to go to Port Phillip. He went up to Flowerdale, and spent some months with Farquhar. Eventually he acquired Flowerdale, and died there in 1849. Flowerdale was taken over by John Aitken in 1850. [S80] Ancestry - Family Tree, Mackenzie Family Tree - ronnessie. [S80] Ancestry - Family Tree, Mr B (N/M Line) - Compagnoni, M'Kenzie, MacRae, Murchison, Davis, West, O'Rourke, Gedye, Dangar, Chapman, Doggett, Stuart Owner: Jason Bennetts: Farquhar MacKenzie Journal 1836-1850. The Murchison family migrated to Australia in 1833, when Martha was still a child. Her father was an army officer, Captain John Murchison, who became a magistrate. After a short time at Parramatta he selected a grant of land, near Goulburn, which he called Taradale. He employed convicts as his servants, and his family lived in constant fear of attack by bushrangers. 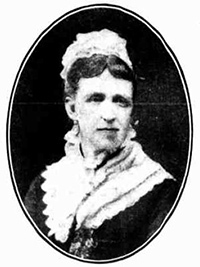 Martha married Farquhar Mackenzie. Details from Deatth certificate: February 24, 1874; 1 or 7pm Weinberg Road; Borough of Hawthorn, County of Bourke; Farquhar MacKenzie; Inspector of Stock; Male, 62 years (corrected from 58); Carcinoma of the upper jaw and face; 12 months; Last seen by: James Rudall - February 24, 1874; parents: Kenneth MacKenzie (Army Captain), Flora Emily MacKenzie (formerly McRae); Informant: R MacKenzie, son; Weinberg Road, Hawthorn; Robert ???? ?, February, 26, 1874; Hawthorn; February, 25. 1874; Boroondara General Cemetery; Undertaker: Joh?? Pedberry; William Wood; Church of England; born: Rosshire, Scotland; Sydney 5 years; Victoria 27 years; Kerrisdale Station, Broadford, Victoria, Patty Murchison; age at marriage 35 (corrected from 32) Issue: Hector Roderick 25; Catherine Violet 2? Mary Anne 21 Kenneth Murchison 19 Farquhar 18 John 16 Flora Emily 14 Charles Edward 1? Hector deceased Stuart Leopold 5 Ada 3. [S185] Property Titles. ; PROV (Public Records Office Victoria), C/T 1747-267 Joseph Bulling of Osborne Street, South Yarra, Builder. [S185] Property Titles. ; PROV (Public Records Office Victoria), C/T Vol 1747 Fol 268 Martha McKenzie, of Kew Widow. [S185] Property Titles. ; PROV (Public Records Office Victoria), C/T 1747-268 Martha McKenzie, of Kew, Widow. [S14] Newspaper - Sydney Morning Herald, 29 Apr 1909, p6. [S14] Newspaper - Sydney Morning Herald, 12 May 1909, p8. VPRS 28/P3, unit 111; VPRS 7591/P2, unit 444. [S11] Newspaper - Argus 29 Apr 1872, p4. [S11] Newspaper - Argus 6 Oct 1885, p7. [S11] Newspaper - Argus 6 Apr 1886, p8. [S11] Newspaper - Argus 24 Sep 1909, p3. [This series of articles was begun in "The Argus" on August 14, 1934, and was transferred to "The Australasian" on October 6.]. The land on which Flowerdale Estate proudly sits today is one of the most historic locations in Victoria. The pioneers to this region settled right here. Prior to the early settlers, Hume and Hovell were the first white men to enter the area in 1825. They came from New South Wales to find an overland route to Western Port. On their journey they discovered and named the King Parrot Creek which runs through the Flowerdale Estate Property. The first squatters in the area, in 1838, included Captain Farquhar MacKenzie a Scottish Highlander. 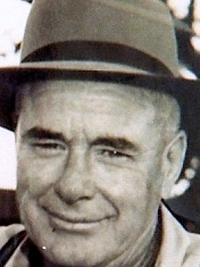 He established a 10,000 acre sheep run called Flowerdale Station in association with his cousin Roderick MacKenzie. The original two room stone cottage took 3 years to build. The homestead, still existing today, was built in 1842. 3 Mar 1874, The death of Mr. Farquhar Mackenzie last week reminds us that another old "Overlander" has gone to the "Misty Island." He was the younger son of an old Highland family who have left an impress on the military history of Great Britain. Mr Mackenzie, who was known as "the Younger of Gairloch," was son of the late Captain Kenneth Mackenzie, of Kerrisdale, in Ross-shire, and nephew of the late Sir Hector Mackenzie, and of General John Mackenzie, who was the oldest general officer in the British Army. Mr. Mackenzie came to this colony in 1838, and formed one of a party consisting of the late Mr. Peter Snodgrass, Mr. Murdoch, Dr. Dixon, Mr. James Campbell, and Mr. Kent Hughes, of South Australia, who were the pioneers of the early settlers on the Goulburn. At that time the blacks were very troublesome on the river, and Mr. Mackenzie, by his tact and kindly manners, succeeded in winning their confidence. How he gained the esteem of those with whom he was in after years brought in contact is known to most of the early settlers in Victoria. For the last 12 years of his life he held the position of inspector of sheep in this colony, and was generally respected by those with whom his onerous duties brought him in contact. A few years since he sustained some injuries in the face from the kick of a horse, which was taken from him by the bushranger Power on the Goulburn, and he at length sank under the illness which supervened. [S80] Ancestry - Family Tree, john loveband family. no longer active - owners of flowerdale alpacas moved - photograph of Farquhar from that source. [S11] Newspaper - Argus 25 Feb 1874, p1. [S11] Newspaper - Argus 25 Jul 1870, p6. [S11] Newspaper - Argus 3 Mar 1874, p7. [S35] Probate Records, PROV (Public Records Office Victoria), VPRS 28/P12, unit 214 ; VPRS 7591/P8, unit 43. [S14] Newspaper - Sydney Morning Herald, 5 Dec 1908, p12. [S185] Property Titles. ; PROV (Public Records Office Victoria), C/T 3758-495 Constance Ellen Jackson of Wando Grove, East St Kilda, Married Woman. [S185] Property Titles. ; PROV (Public Records Office Victoria), C/T 3758-495 John Percy Arthur of Mordart Booran Road, Caulfield, Gentleman. [S119] Electoral Roll for Australia, 1919 "also Herbert Moore JACKSON actuary & Amelia May JACKSON hd." [S35] Probate Records, PROV (Public Records Office Victoria), VPRS 28/P3, unit 4759; VPRS 7591/P2, unit 1416. [S7] Registry of NSW Births Deaths and Marriages "3 siblings James Bertram Arthur 6042/1875 St Leonards; Violet Muriel Arthur 22794/1879 Ryde, Reginald Arthur 14128/1881 also born in NSW." [S1] Registry of Births Deaths and Marriages Pioneer Index Victoria 1836-1888 "1 sister Alison Thyra Arthur born at Geelong 1874/2614." [S185] Property Titles. ; PROV (Public Records Office Victoria), C/T 3758-495 Ellen Gulinda Brumley of Mortlake Married Woman. [S11] Newspaper - Argus 23 Aug 1948, p2. [S11] Newspaper - Argus 31 Mar 1923, p16. Death-Notice* 22 Jul 1953 BRUMLEY, Wells. -On July 21, at Dandenong beloved husband of Linda and loving father of John (Western Australia) Leslie (Cavendish) and Ruby (deceased) aged 84 years. 9 Jul 1919, "NOTICE is hereby given, that the PARTNERSHIP heretofore existing between Wells Brumley. Archibald Henry McDonald, and John Colin McDonald (trading under the style or firm of "McDonald and Brumley"), as auctioneers, stock and station agents, and graziers, at Mortlake and elsewhere, in the State of Victoria, has this day been DISSOLVED by mutual consent. All debts due to and by the late firm of McDonald and Brumley will be received and paid respectively by the said Wells Brumley at the late place of business of the said firm, at Dunlop street, Mortlake. The said Archibald Henry McDonald and John Colin McDonald have admitted into partner ship their brother Donald Roy McDonald, and they will continue to carry on business as auctioneers, stock and station agents, and graziers at Mortlake aforesaid, and elsewhere, under the style or firm of "McDonald Brothers." Dated this first day of July, one thousand nine hundred and nineteen. 3 Aug 1953, DANIEL WELLS BRUMLEY (Commonly Known as Wells Brumley Late of Shadwell No 164 Foster Street Dandenong in the State of Victoria Gentleman - After 14 clear days Edwin John Brumley of Koonje Tenterden in the State of Western Australia, grazier, Arthur Leslie Brumley of Kenilworth Cavendish In the State of Victoria grazier and William Laurie Lee Archer of Mortlake in the State of Victoria solicitor, the executors appointed by the deceased's will dated the 13th day of August 1948, and a codicil thereto dated the 6th day of October 1950 will APPLY to the Supreme Court of Victoria for a grant of PROBATE of the said Will and Codicil thereto. [S11] Newspaper - Argus 22 Jul 1953, p10. [S11] Newspaper - Argus 9 Jul 1919, p15. [S11] Newspaper - Argus 3 Aug 1953, p9. Death-Notice* 12 Dec 1923 BRUMLEY.- On the 11th December 1923, at Kyogle, Upper Beaconsfield, Ruby, only daughter of Mr and Mrs Wells Brumley, of Mortlake, aged 20 years. The Friends of Mr. WELLS BRUMLEY are respectfully invited to follow the remains of his beloved daughter, Ruby, to place of interment, Mortlake Cemetery. [S3] Registry of Births Deaths and Marriages Edwardian Index Victoria 1902-1913 "#B12409 BRUNLEY in Index." [S11] Newspaper - Argus 12 Dec 1923, p1. [S188] Newspaper - Berwick County Times / The Times "14 Dec 1923, p1." [S11] Newspaper - Argus 10 Dec 1924, p1. "Australia Births and Baptisms, 1792-1981," index, FamilySearch (https://familysearch.org/ark:/61903/1:1:XTZZ-QQ8 : accessed 17 May 2015), Ellen Gulinda Whitson, 28 Aug 1873; citing ; FHL microfilm 1,238,886." [S185] Property Titles. ; PROV (Public Records Office Victoria), C/T 3758-495 Helena Barnes of Alston Upper Beaconsfield Married Woman.